Here is what I came away with! Now, this is from the past 2 weekends, so it wasn't just one amazing day. 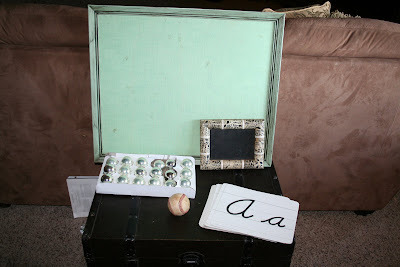 I did get the little green beat up table and can't wait to show you how it turned out. 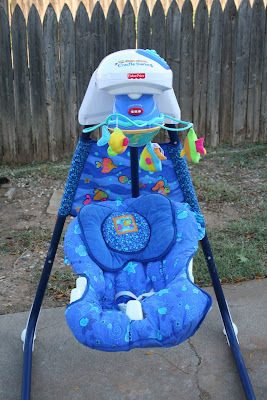 I also caved and got that baby swing, but now am having second thoughts. Do I really need a deluxe swing like that? All of my other kids have gotten along fine with just the basic back and forth one. I'm thinking I may just Craigslist it and be more happy with the money. What do you think? 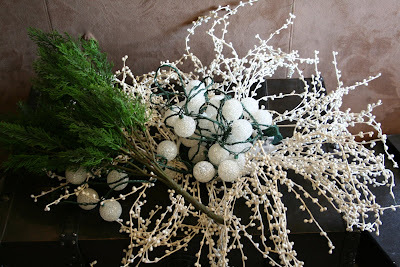 Some Christmas goodies: .25 for the greenery, $1 for the cute ball lights, and $1 for the white berry wreath garland thing. Wow, you really scored some awesome deals! I wish I had a yard sale buddy like you. You found some great deals. $15 for the swing is a good deal. They are around $100 brand new. My kids all had the basic swing. They never lasted too long in it because at about 5 months they would grab the side bars in mid swing. Great bargains. I loved that bed. If I had a double bed I would just make my girls share for a while. They are only 4 and 5. It would have been cheaper than buying two twin beds. Just so you know, that's the swing I used with my kids and they loved it. I passed it on to my sister who is currently using it. It's made it 5 years and is still going strong. However, if you don't need why keep it? I can't believe the awesome deals you got? How do you find such nice things for such great prices?! I think I live in the wrong area for yard sale steals. That lantern lamp is SO cute. I love it. And only for $1.00?! Wow! You do find awesome things at garage sales! It was so funny to read that winter is the time when garage sales end where you live. Winter is our time to play here in Az! :) I say keep and try out the swing. I always have buyers remorse when I buy things, even if its an awesome deal! That's the swing I have for my daughter and she LOVED it. I love that it swung from side to side. It was very soothing to her and she used it until she was 9 months old. You seriously got a great deal on it. But if you don't need it, you can DEFINITELY make your money back on craigslist. Okay, so I think I will keep the swing, lol! I may just be blessing all of your names here in a few months for talking me into it. I guess I could just sell my basic one, huh? Oh, about the bench. I have seen them where the headboard or footboard is the back and legs. Then a piece of wood serves as the bench part. 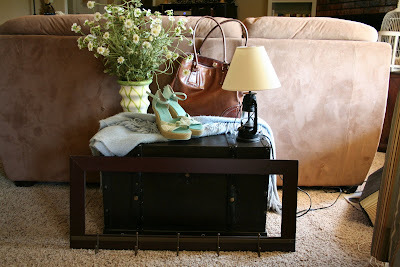 Try this link http://empressofdirt.blogspot.com/2007/03/making-garden-bench-from-old-bed.html. 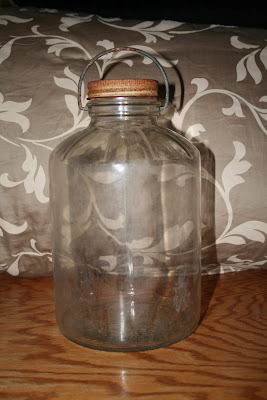 I love the jar and lantern lamp! Great finds! I found your blog through Will and Maryn's. My husband, David Heath, grew up in Ohio with Hyrum and Will. ANYWAY, I love your blog!! We're also on a grad student budget, but I still like to have a cute house :) Your ideas are fantastic!! But I have a question. . . . How do you decide which yard sales to go to? Whenever I get up the energy to go, it seems like I always pick the duds. Do you look them up in the paper, just watch for posters on the side of the road, Craigslist?!? I wish I could find treasures like that! When I have been to yard sales it is mostly junk! I guess that I need to go to different areas to be sucessful! I want to go garage sale-ing with you where you live. What you bough would cost me about $50 here! Keep the swing. Our plain one died after 2 boys so we bought the full price fancy one For $119 when our daughter was born 8 months ago. Had I know how much she loved it and would use it, I would've paid double. Serious. It's that great! !